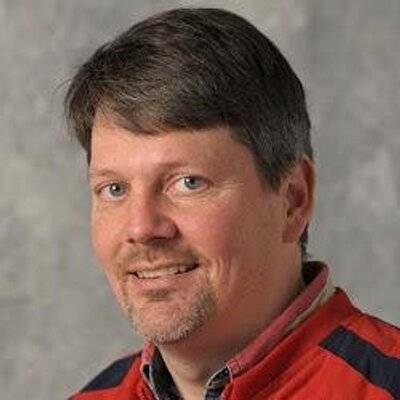 Steve Gardner Wins Tout Wars NL 2018! | TOUT WARS! Steve Gardner Wins Tout Wars NL 2018! In an up and down race, which saw 2017 champ Grey Albright take an early lead, lose it in May to eventual champ Steve Gardner, take it back again and open it up again through August, only to be pushed aside by Gardner in early September, and then be passed by Tristan Cockcroft, too. Whew. Gardner may have been challenged by three-time champ Cockcroft in the end, but he was able to hold on. 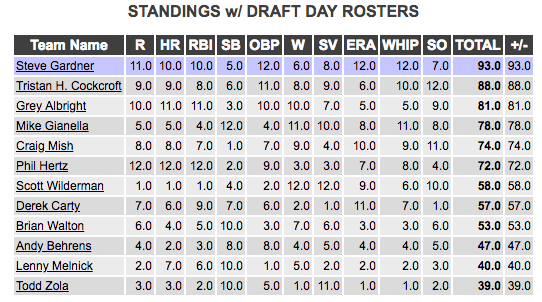 And his victory was foretold by the draft day standings. He had the best auction in the league. The closeness of the final standings may be because Gardner had a comfortable hand all season. he made no trades, and only one big FAAB pickup. That would be 707 samoleons for Eduardo Escobar, which helped, it may have made the difference, but wasn’t a difference maker. Steve Gardner last won Tout Wars NL in 2011. Congratulations on your successes. Lenny has had some, too, over the years, which is why some consider him a legend. 2018 in Tout Wars, not so much. But that happens. Tout Wars is a league of fantasy baseball writers and communicators (I think this means radio and podcasts, but the idea is the same). We’re sure that each year that others will have better years, but we all communicate better collectively each year before the season starts what we think is going to happen. For some of us, Steve Gardner, things go according to plans. For Lenny, last year, not so much. But history tells us that these are passing fancies. Come join us for Doubt Wars next March. It is the contest that allows civilians to face off against Tout Wars drafters. This was the most exciting fantasy league finish I’ve ever had playing this great game. With Tristan and I tied in wins, the Dodgers decide not to have my guy Walker Buehler pitch Game 162. Instead they go with Rich Hill, who I also have active. Hill gets the win and I move one point ahead at the end of the regular season. But no, the season is extended for a pair of division tiebreakers. In the first game, Tristan gets a win from reliever Corey Knebel, putting us tied again and setting up a showdown between German Marquez (his) and Buehler (mine). Two mistakes from Marquez turn into home runs and even though Kenley Jansen (his) tried to blow the win, he got the final three outs. 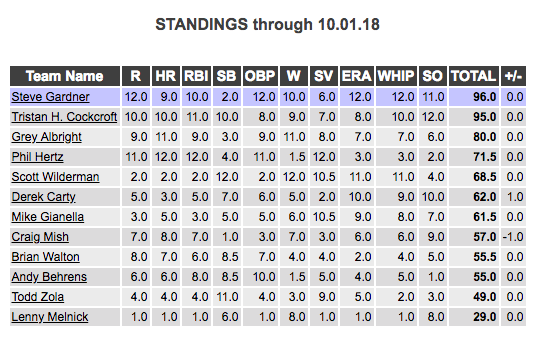 Fun fact: If Nolan Arenado hits a three-run homer in the eighth instead of being left in the on-deck circle and hitting his homer leading off the ninth, I drop a point in RBI … and Tristan wins the tiebreaker. 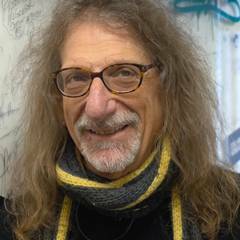 How do y ‘all keep inviting Lenny Melnick back year after year? He finished in last place 20 points behind the 11th place finisher. I have been Commissioner of my N.L. only Roto League for the last 32 years,(I’m rather sure we are the most established Fantasy League in the Country, we have 6 of 12 owners that have been in the League the entire 32 years). I just finished this season with my 8th, 1st place finish(and I also won the League by 12 1/2 points). I also played in 2 other Roto Leagues and finished 1st and 3rd respectively. I would love to compete against your “Experts”. 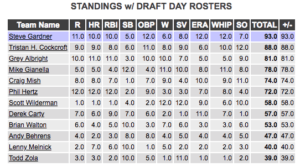 I have been playing Fantasy baseball since 1985, and would relish the challenge. Previous Previous post: Colton and the Wolfman Win Tout Wars AL! Next Next post: We’ve Got Doubt Wars Winners Here!